Oh, look at that?! It’s been a month since I’ve posted anything on here! Sorry y’all, (I can say that because I once lived in Texas), anyway it’s been a crazy whirl wind of non-stop everything for the past month. You know what I mean right? When sun, fun, deadlines, family, friends, school, work, license renewals, CEU’s and birthdays all demand your attention? And the hobby stuff (AKA, the blog), well it gets put on the back burner for a bit. It’s not that I haven’t been trying new recipes or haven’t been taking photos of delicious food, or haven’t been thinking of what we all should be drooling over next (teaser: Ice Cream Cake!). Definitely not any of those things. What it is, is having the time to put them all together in one complete thought out blog post. One that actually makes sense, has a drool inducing photo and a recipe or link. This stuff all takes time you know. Er, maybe you don’t know. Well then, I’ll tell you. Completing the recipe, photographing it, editing the photos, writing long stories to introduce the recipes (yes, I know I can get long-winded), editing the draft, fitting all the photos in, linking to sources and reviewing it, it all takes time. In fact, sometimes it takes me a few weeks or months to get some posts completed. Even if I get one post done, I might bump it for another recipe post depending on inspiration. Homemade Oreos, a special treat. It’s getting to be the end of the school year again, and I am more than grateful. I am ready to begin summer adventures and lazy days, saying farewell to carpools, schedules, and homework. My son’s school hosts class picnics toward the end of each school year. I signed up to bring a dessert, no surprise there. 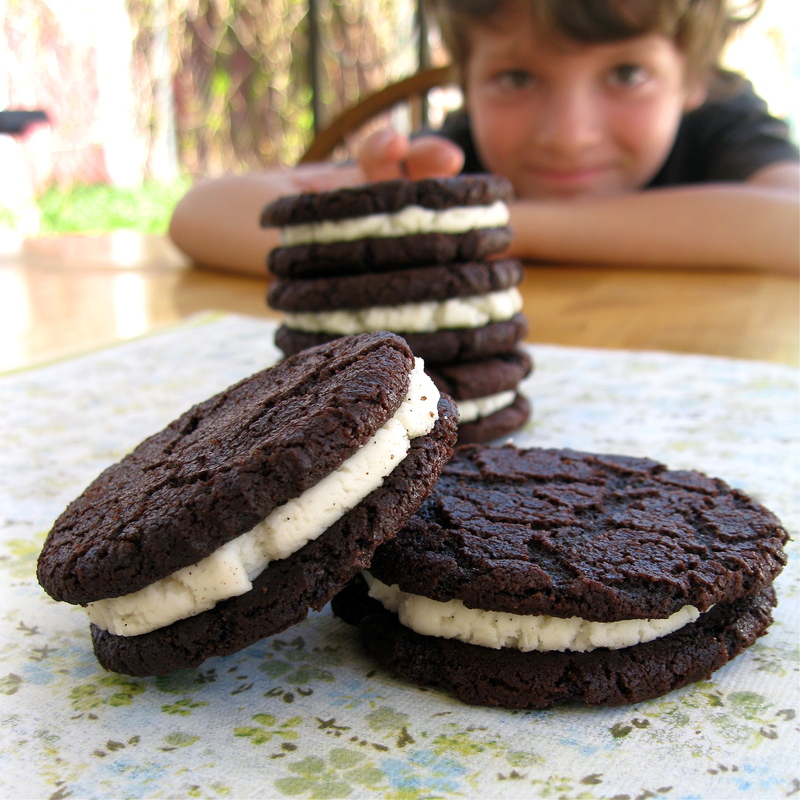 When I asked my son, Xavier, what he wanted me to bake for his class picnic, he thought about it for a while and decided upon homemade Oreos. It was perfect. 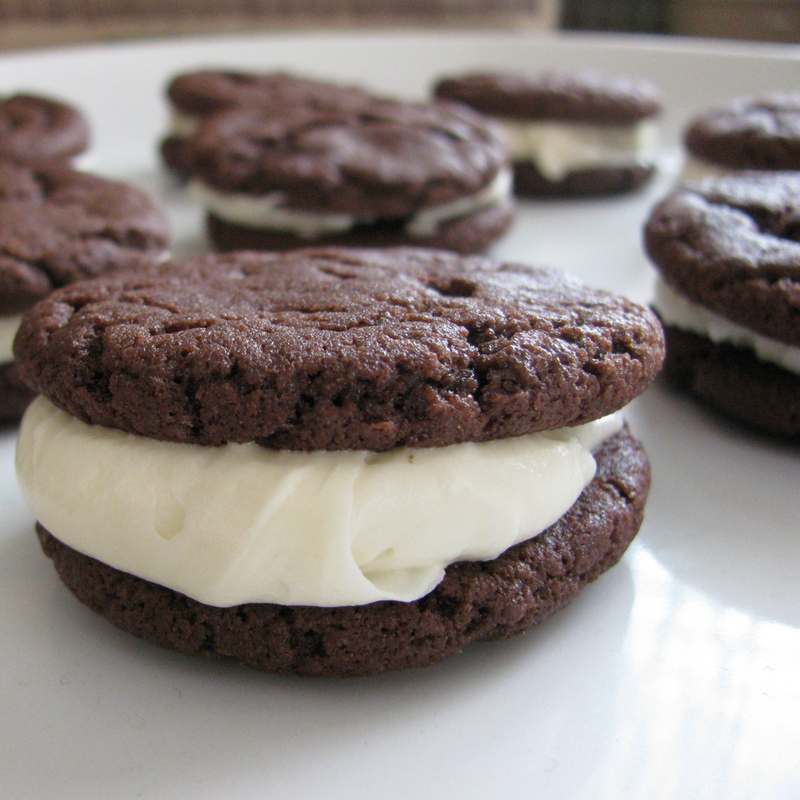 Homemade Oreos are a special treat not only for kids, but for adults as well. They are easily portable and bring a little excitement to every picnic, and by the way, will be gone in 15 minutes flat.